Mrs. G TV & Appliances is calling on all young artists in grades 6 through 12 to show their talent and support of Breast Cancer Awareness in a refrigerator-decorating contest. The top 3 entries will be invited to our showroom to paint their designs on retired refrigerators and have a chance to meet Trenton graffiti artist Leon Rainbow, the Jersey Fresh Jam artist who has been featured on CNN and in the New York Times and Princeton Magazine. The Grand Prize winner will receive a $150 savings bond and Mrs. G TV & Appliances will give a matching donation, plus $1 for every voter entry up to $500, to Susan G. Komen of Central/South Jersey. To participate, please download the entry form and template (PDF or JPG) and come up with your design concept, keeping in mind that you will have to paint it on a full-size fridge if you are one of the top 3 chosen. 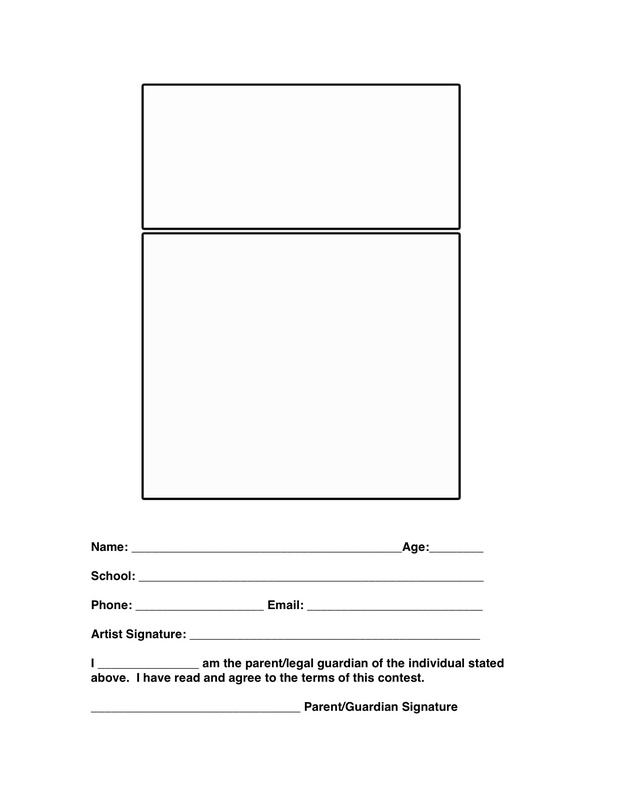 All students under the age of 18 must have signed parent/guardian permission to participate in the contest. Signed consent also gives Mrs. G TV & Appliances permission to use any images of the winning design and artist in any media placement during and following the contest. Designs can be submitted by mail or email and must be received by Monday, September 26th, 11:00pm EST. Mrs G TV & Appliances will pick the top 3 artists and notify them by phone or email. The painting event, which is open to the public, will occur on Saturday October 1, 2011 and the refrigerators will be on display through late Fall. 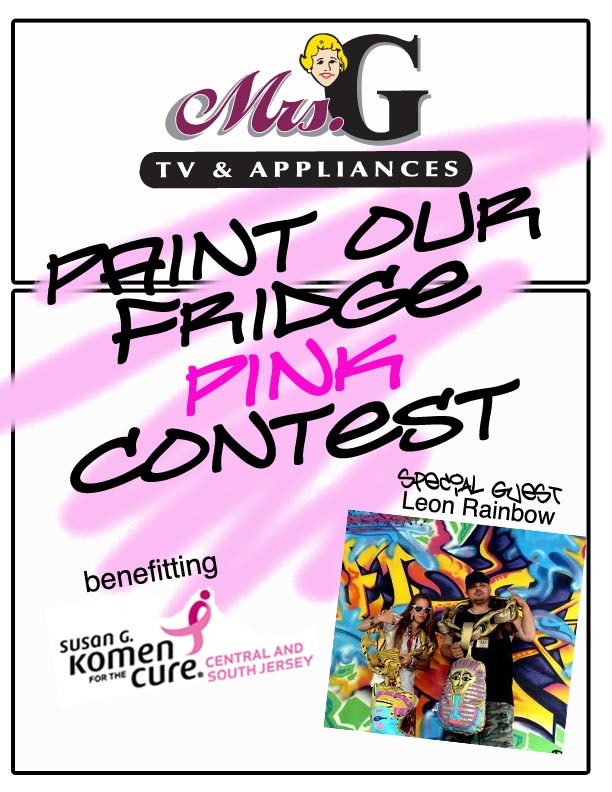 via Paint Our Fridge Pink Contest for Susan G Komen of Central/South Jersey — Debbie’s Blog.